I know we're in the middle of the summer, and if you're in Greece like me a very hot one, but it's also the season when make up brands present their fall collections. 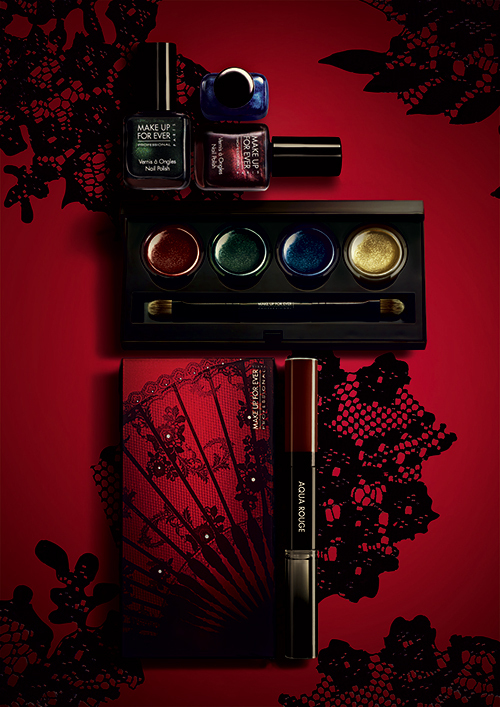 Make Up Forever's Black Tango collection includes rich vampy colors for eyes, lips and nails. 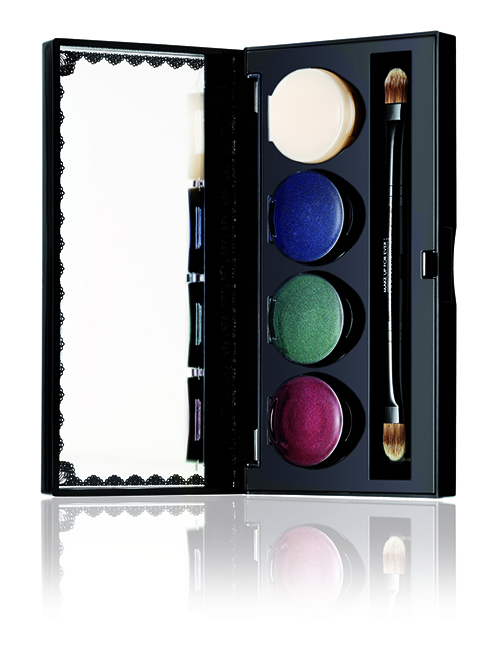 Four new Aqua Cream dark shades with subtle glints, like precious stones, hidden in an extremely feminine limited edition compact. Inside hides a large mirror decorated with lace and a professional brush. 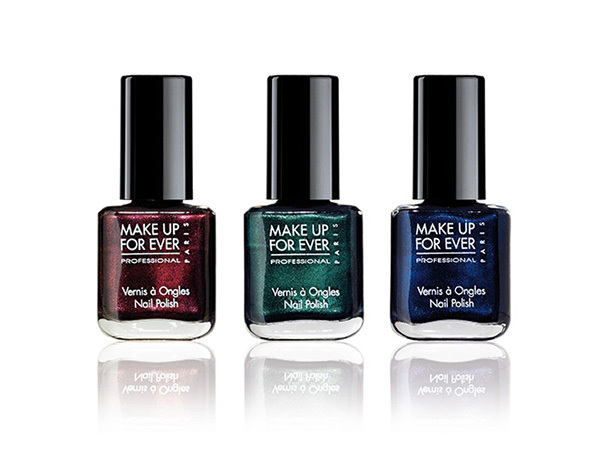 Dany Sanz has created three Nail Polishes for incredibly feminine appeal. Thanks to their deep colors – black with red highlights, black with green highlights, black with blue highlights – they perfectly echo the intense and sensual world of BLACK TANGO. Step 1: the liquid lipstick delivers intense matte color. Step 2: the top coat provides a vilyl finish and protects the color. For the Black Tango look Dany Sanz has chosen the Aqua Rouge in no.11 Dark Raspberry. So what do you think of Make Up Forever's 2012 fall collection? Are you excited for any of the products? I know I am for the nail polishes, since I am a vampy lover when it comes to nails I think these shades will be fabulous for the fall! Egw ta latreuw sta nuxia kai sta matia! Ante na erthei to fthinopwro! Yeah, very beautiful, and I cannot wait for the Fall! βαθυ χρωμα ειδικα στο μοντελο που τα εχουν βαλει αψογα ειναι τοσο εντυπωσιακο! Oh my God!Πανέμορφα όλα!Δε μας λυπάται καθόλου η Make Up For Ever!